The Bruck Act Medium Spotlight LED Duolare has been specially designed for the Duolare system by Bruck. 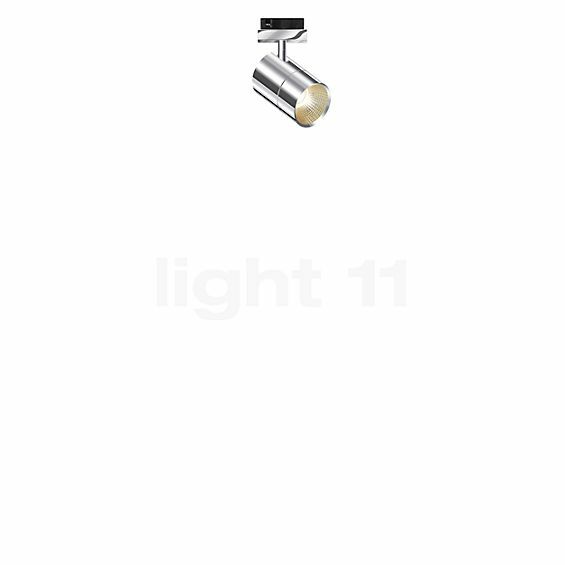 This track system by the German light manufacturer Bruck gives you the opportunity to flexibly and efficiently operate different kinds of lights at the same time. This spotlight was designed according to exactly this principle of mobility and efficiency: the cylindrical lamp head made of precious metal can be rotated and tilted as desired. Furthermore, the Act Medium Spotlight LED Duolare is characterised by a minimalist design language that leaves the stage to the functionality of this spotlight. Thereby, the Bruck Act easily blends with nearly any surrounding area. The Bruck Act Medium Spotlight LED Duolare supplies its light exactly to where it is needed. In addition, the reflector on the inside bundles the light into a precise light beam. Thereby, the spotlight offers needs-oriented zone light. What is more, the Act Medium LED Duolare stands out for its energy-efficiency. The spotlight by Bruck consumes only very little energy to generate a luminous flux equal to that of a 60 watt incandescent lamp. Thus, the Act Medium Spotlight LED Duolare shows an exemplary luminous efficacy. Tell other customers and us about your experiences with the Act Medium Spotlight LED Duolare ! The Bruck Act Medium Spotlight LED Duolare can be used wherever you have a Duolare system installed. It may, for instance, provide a living room with needs-oriented lighting by accentuating selected pieces of furniture, such as cupboards and shelves. In this way, the Act Medium LED Duolare gives the room structure and depth. However, the spotlight by Bruck may also create fascinating light accents that add that certain something to the base lighting of the room.